How Do I Know if I Have a Hip Dysplasia? Dysplasia can be thought of a “dislocation” of the hip where the ball and socket of the hip no longer harmoniously cooperate. Dysplasia is very often related to an abnormal hip development as a child even though sometimes it does not create symptoms until adulthood. 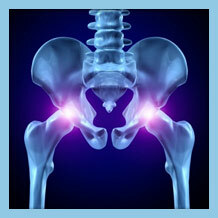 Arthritis and osteoarthritis will also bring about the full onset of a hip dysplasia. When dysplasia is present, it creates a loss of motion, pain, and an uneven hip appearance with the opposing hip. The pain can be significant and present during any motion of the hip. Do you have any of these symptoms and think you may be suffering from a hip dysplasia? We have a quick and easy tool to help gather some information from you to help us determine what your problem is and get you on the road to recovery. A mild hip dysplasia can be assisted by strengthening the muscles that support the hip. Anti-inflammatory medication and physical therapy are often recommended. Persisting discomfort in some cases can be further helped with an arthroscopic procedure. A moderate to severe hip dysplasia will most often require a more biomechanical surgical intervention which may include a hip replacement. OLSS provides a wide range of treatment options and because our doctors are the most experienced and best trained in treating hip dysplasia, we are able to perform many advanced treatments other practices may not be able to offer. The real question is: What treatment is best to treat your hip dysplasia? Use our Treatment Check tool to quickly get started in finding the right treatment for you.